In response to Tom Fulks’ Feb. 1 Viewpoint — “Why is SLO County Elections Office making it harder for people to vote?” — I want to make some clarifications and educate the public about SB450, which has the potential to dramatically change the way elections are conducted. First, let me assure voters that those who requested permanent Vote-By-Mail (VBM) status will continue to receive their VBM ballot packets beginning 29 days before every election. Furthermore, in compliance with AB216, effective Jan. 1, 2019, all counties are required to pay the return postage on these ballots. 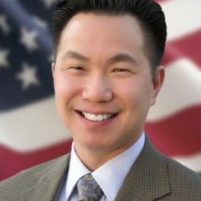 Any voter who would like the convenience of voting by mail can check the appropriate box on their voter registration form; request to become a permanent VBM voter by completing and returning the form on the Clerk-Recorder website (www.slovote.com); or call my office at 805-781-5228. In a nutshell, it allows counties to send every registered voter a VBM ballot, install VBM ballot drop-off boxes throughout the county (approximately 12 in our county), and instead of having polling places on Election Day (138 precincts in our county), a significantly reduced number of vote centers (approximately 20 in our county) would be open as early as 10 days before Election Day, including weekends and holidays. Sounds simple enough, but the devil is in the details. A vote center is a much more sophisticated operation than a traditional polling place. It is our election counter operation extended to another 18 locations throughout the county. It requires trained temporary staff to operate each vote center 8 a.m. to 5 p.m. during this period and 7 a.m. to 8 p.m. on Election Day. Pay rate would not be at a pollworker stipend, but rather at hourly rates. The VBM ballot drop-off boxes are required to be serviced daily by at least two people to maintain the integrity of the ballots, requiring additional staffing. Lastly, SB450 calls for extensive voter education and outreach plans to be implemented. SB450 became law in 2016, but the 14 pilot counties, including San Luis Obispo, were not given the option to conduct elections in this manner until 2018. Elections in 2020 are only the second opportunity for San Luis Obispo. In fact, in 2020, all counties in California are given the option to perform elections in this manner. A quick, informal survey of election officials last year asked counties if they are considering SB450 for 2020. Out of 33 responses, only seven counties were considering it. My office and I spent the better part of eight months reviewing the requirements of SB450. To obtain input from the community, a SB450 Focus Group met four times throughout the summer. This group included individuals representing diverse groups and views throughout the county. They were presented with the results of a feasibility study that was conducted to determine if it was even possible to implement SB 450. There was lively discussion regarding the merits of the legislation, and I appreciated their input. During the feasibility study, we discovered that finding 17-20 vote center locations for multiple days was a big challenge. The largest polling place locations used during typical elections were contacted to see if facilities were available for the additional days before and including Election Day. Immediate results were that half of them could not provide their locations for additional days since many facilities are used for other purposes, such as classes, weddings and community events. With such a departure from the traditional polling place, there is a need to perform extensive voter outreach plans to educate voters about the changes to the election. SB450 required counties to develop an Election Administration Plan, including a voter education and outreach plan, subject to public hearing and approval by the Secretary of State office. With such an extensive and far-reaching education plan, there was concern between San Luis Obispo and Santa Barbara counties, which share some of the same media markets. Voter confusion could arise if San Luis Obispo were to implement SB450 before Santa Barbara county. The technological requirements of vote centers and associated costs were explored. The demands of having reliable, uninterrupted, and secure connectivity with electronic equipment to communicate with a voter registration database at the state level would require additional technical equipment and staff at the vote venters. In addition, with the concern for cybersecurity, additional efforts are needed to ensure that voter data is not accessed or compromised. Of the 14 pilot counties given the go-ahead to implement vote centers in 2018, only five did so. I ultimately decided to postpone implementing vote centers for 2018 as time was growing short with looming deadlines, the technological challenges in providing cybersecurity of computing assets were substantial, and our need for a new voting tabulation system was more immediate. I monitored counties that implemented vote centers in 2018. After these elections, the feedback was that during the first week of the 10-day period for vote centers, activity was very light. But the day before and on Election Day, their vote centers were inundated with voters, resulting in long lines. Essentially, all the voters who would typically show up at the polls on Election Day showed up at a reduced number of vote centers all at once. Doing the math for our county, if we had 40,000 people show up on Election Day at 20 locations, we would have 2,000 people show up at each location on average. Should the decision be made to move to vote centers, I would take these real-life experiences into consideration. Despite the required extensive community/voter outreach and education, along with voters receiving their ballots in the mail with explanation of the new options for returning them, there was still strong turnout on Election Day at vote centers. Why? Might it be that for many, voting continues to be a long-standing tradition of showing up at one’s neighborhood polling place on Election Day to cast one’s ballot? Are voters creatures of habit? Voter behavior is something election officials have little influence over, so it takes extensive efforts to educate voters as to the many options they have when voting. There were some unintended consequences the state Legislature placed on county election officials regarding SB450. By allowing counties to decide if and when to implement, it also allowed political persuasiveness to rear its ugly head in the otherwise non-partisan, apolitical process of conducting elections. What results is a “damned if you or damned if you don’t” situation that is very unfortunate for election officials who are doing the best they can for voters while being mindful of taxpayers’ money. If the Legislature had simply made it a requirement instead of a county option, all counties would simply comply. On the other hand, if the legislation had been more flexible, there might have been more pilot counties participating from the outset. Some have asked me why the county cannot simply send every voter a VBM ballot in the mail, and those wanting to go to polls on Election Day could do so, but that is not allowed by state law. SB450 is all or nothing. The only way you can conduct elections entirely by mail is to facilitate vote centers. However, the county could get closer to conducting elections by mail if the number of Permanent vote by mail voters increased. Let me conclude that I am not opposed to SB450. I will be making a presentation to the Board of Supervisors on Feb. 26 with an update to the potential utilization of vote centers for 2020 including anticipated costs, alternatives, and required infrastructure changes (i.e. equipment, technology, and staffing). By all accounts, elections in 2020 will be unprecedented, eclipsing the records set last year. Voter activity will be at an all-time high. Do we want to force everyone to vote by mail? Do we want to remove the traditional polling places that people have been going to time and time again, especially when they show up on Election Day on what will be a monumental election? Or do we want to do what we can to assist the voter in the most effective and cost-efficient manner? I want to ensure the way we conduct elections in San Luis Obispo County benefits the voter. No amount of improvements or cost savings is worth jeopardizing an election. The integrity of a fair vote is essential and sacred to the public trust in the election process. Tommy, you are so lousy at your job that your own party operatives threw you under the bus. Make all the excuses you want, the election results come in too late and too inaccurate. You hosed the Los Osos election too. Please quit. If we put it to a vote, you would receive ‘no-confidence’. Whats wrong Fulks didn’t your progressive (socialist) party get enough votes? I hope your Daily Worker paper dies.